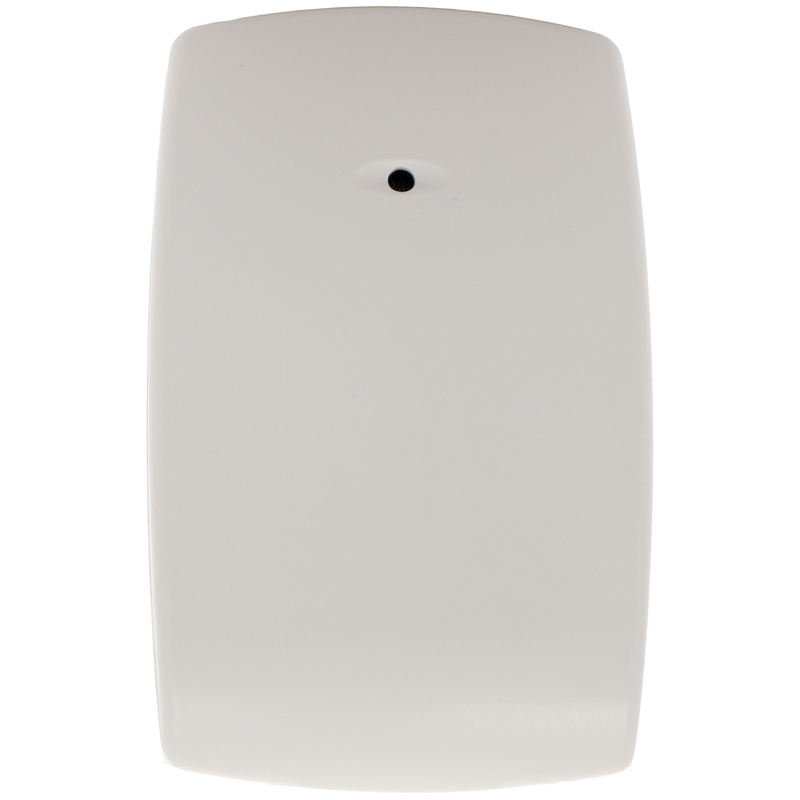 The Honeywell FG-1625T is a acoustic, hardwired glassbreak detector with tamper form C relay, that is ideal for any room where windows are present. The FG-1625T glassbreak detector uses the latest technology to provide faster response and increased false alarm immunity. The FG-1625T is specifically designed to allow a fast, easy installation while the adjustable sensitivity settings can compensate for the acoustics of any room. Optimum operation can be quickly verified using the FG-701 Glassbreak Simulator. Insulating - Maximum overall 7/16"
Minimum size for all types is 28 cm (11") square; glass must be framed in the wall or mounted in a barrier at least 0.9 m (36") wide. FlexCore™ Signal Processor - The FlexCore Signal Processor is an Application-Specific Integrated Circuit (ASIC), which processes sound data in parallel rather than sequentially for faster, more accurate detection decisions. The combination of proven FlexGuard performance with the speed of FlexCore processing provides unmatched false alarm immunity without compromising detection. Easy Installation and Setup - Honeywell's patented technology allows remote activation of Test Mode (with simulator). The FG-1625T has a centered wire entry hole, 45° terminal blocks and EOL terminals. A hand-clap feature verifies the detector is functioning. Selectable Sensitivity - Two DIP switches on the FG-1625T make it easy to set the sensitivity to match the acoustics of room. Four different sensitivity levels are available, ranging from very low to high. The range can then be verified remotely with the FlexGuard FG-701 Glassbreak Simulator. Mount the Detector Anywhere - Mounts on any wall, in the window frame, or on the ceiling, with no minimum range and a maximum range of 25' (7.6 m) to the glass. Covers All Glass Types - The FG1625T works on all glass types, including plate, tempered, laminated, wired, film-coated, and sealed insulating glass. Multiple Domain Signal Analysis - The FG1625T performs Multiple Domain Signal Analysis in which time, frequency and amplitude characteristics are evaluated for signal qualification. This enables the detector to accurately discriminate false alarms from true glassbreak events. Enclosed PC Board - The PCB is protected from potential damage during installation. Patented Remote Test Mode - The Patented Remote Test Mode can enable or disable the indicator LEDs using the FG-701 Glassbreak Simulator. The unit automatically resets from Test Mode in five minutes. Mounting Locations - The FG1625RT can be mounted on the ceiling, opposite wall, adjoining wall, or the same wall as the glass. FlexGuard® Glassbreak Simulator/Tester: The sound of breaking glass is digitally simulated by the FG701. The FG701 is compatible for testing all Honeywell brand glassbreak detectors. Honeywell highly recommends testing glassbreak detectors before final installation.